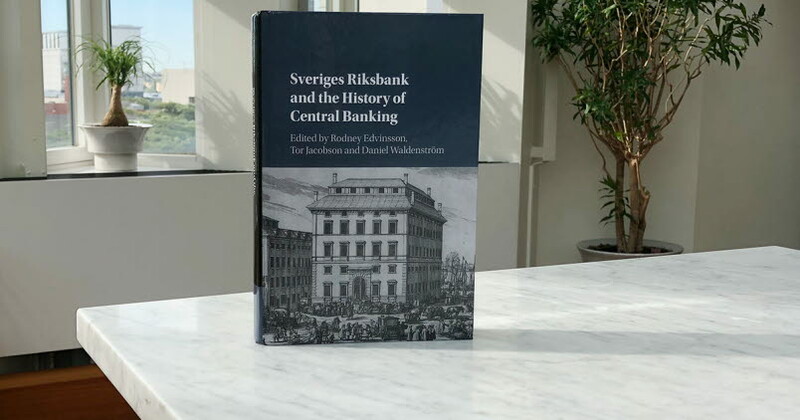 The commemorative book “Sveriges Riksbank and the History of Central Banking” was published during the Riksbank’s 350th anniversary year. It describes the historical development of the Riksbank and a few other important central banks. The book is published by Cambridge University Press. It can be ordered/bought from bookshops or directly from the publisher. The editors are: Rodney Edvinsson from Stockholm University, Tor Jacobson from Sveriges Riksbank and Daniel Waldenström from IFN and Paris School of Economics. Rodney Edvinsson, Stockholm University, Tor Jacobson, Sveriges Riksbank, and Daniel Waldenström, IFN and Paris School of Economics.